Gee, big surprise. More Arab violence. Ever notice how every Arab country in existence is plagued with horrific violence and cruelty and controlled by a ruthless mass-murdering dictator? Thousands of Arab rioters clash with Israeli security forces in Jerusalem, Judea, and Samaria, this time in protest of Jerusalem recognition. According to an IDF spokesperson Friday afternoon, army units were deployed at roughly 30 sites across Judea, Samaria, and even along the Gaza border to contain riots which had broken out as part of a planned “Day of Rage” against President Trump’s decision. 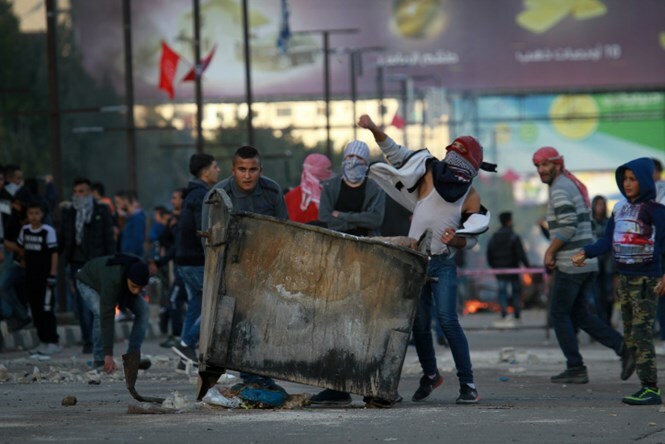 More than 3,000 Palestinian Authority residents rioted in Judea and Samaria, burning tires, hurling firebombs at Israeli security forces, and stones at Israeli civilians. Several hundred Arab rioters also demonstrated at six sites inside the Gaza Strip along the border with Israel, hurling stones at Israeli security forces. Some 250 rioters clashed with Israeli police in the Old City of Jerusalem, while dozens more threw stones and burned President Trump in effigy elsewhere in eastern Jerusalem. IDF, Border Police, and Israel Police forces deployed to contain the riots fired rubber bullets at stone-throwers.